RE: Is Miracle-Gro safe to use near a lake? Ever since Victorian times, flowers have allowed us to express ourselves without uttering a single word. 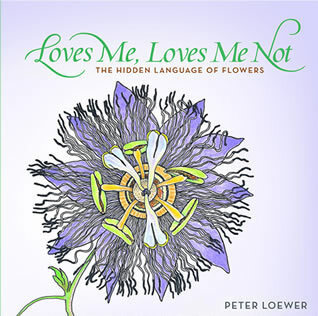 With intriguing stories and stunning full-color illustration, Loves Me, Loves Me Not (Cool Springs Press, $12.99) introduces readers to well-known flowers that have been conveying messages for centuries. Author and artist Peter Loewer explores the fascinating history of floral messages. Each page digs deep into the intriguing world of plant lore with unexpected historical connections and the simple beauty of color illustrations that re-introduce us to fifty flowers in a unique way. - Confess unrequited love with a daffodil. - Show happiness with primroses. - Make your declaration of love. Not with a rose-but with a tulip! Peter Loewer’s extensive background in horticulture, the biological sciences and art history is demonstrated in the over 30 books he has written on gardening, native plants, wildflowers, and the natural sciences. Most recently he authored Native Perennials for the Southeast. His book The Wild Gardener (1991) was selected as one of the American Horticultural Society's top 75 gardening books of the 20th century. He has contributed to numerous magazines and newspapers and hosts The Wild Gardener radio show on public radio. About Cool Springs Press: Cool Springs Press is a leading publisher of regional and national gardening books from recognized experts who inform and inspire gardeners to create beautiful spaces in their home and garden. Loves Me, Loves Me Not (ISBN –13:978-1-59186-298-7) is now available from Cool Springs Press.